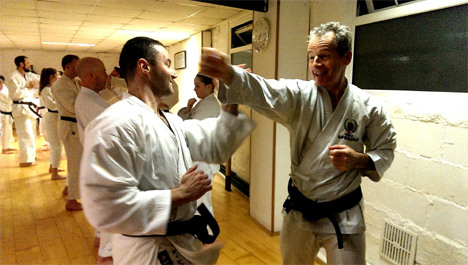 Shotokan karate is often know for and characterised by its straight, dynamic, direct techniques… But is that all Shotokan has to offer? Is this how it has always been? I hope, in this article, to explore the rounder, more circular aspects of our style and maybe give a few ideas about how we can increase, or at least revisit, the depth and breadth of our style. Of course, this emphasis is completely understandable. It would be impossible to make external kime and finish one’s technique in a precise manner (two factors that are important when been judged or examined) if techniques are done in a circular fashion. Plus to perform such precise, dynamic movements takes great body control, which, after all, is what we are trying to achieve through karate. However, does that mean we should neglect this circular aspect of Shotokan? I believe – No; we should not neglect this. In fact we should take steps to make our karate as complete and comprehensive as possible. So what should we be doing?.. First, we have seen reasons why this aspect of our budo has been somewhat avoided. However, we must also investigate the innate difficulties of practising such waza. With a technique such as Haito Uchi, it is possible to practise it slowly to target (your partners temple, for example); it is possible to practise the technique with speed and power, but it isn’t possible to practise both precision and speed at the same time. If we performed Haito Uchi speed and power to target, it would be impossible to control. The same is true with so many of these techniques. Therefore, over the years, the way we do them has changed. So what can we do to rectify this problem?... Simple! Just accept that the above is true. Practise slowly with one’s partner, making sure the course and targeting is correct and also practise full speed with one’s partner, but miss, therefore preventing you from having to artificially snap or control your technique. In the case of Haito Uchi, just let your technique flow past the target; don’t expect or try to make an artificial “kime” at the point where you would normally hit your partner. Of course, the final way to practise is by using a focus pad. Not all dojo have these, of course. However, they are a great way to really see how effective these techniques actually are. If you are hitting a pad, realise that the way to make power is simply to relax through the target. Don’t tense or try to make kime as we would with straight technique – however, in my experience, even with seasoned karate-ka, after years of making straight kime with every technique, making power with a rounded technique often proven problematic! 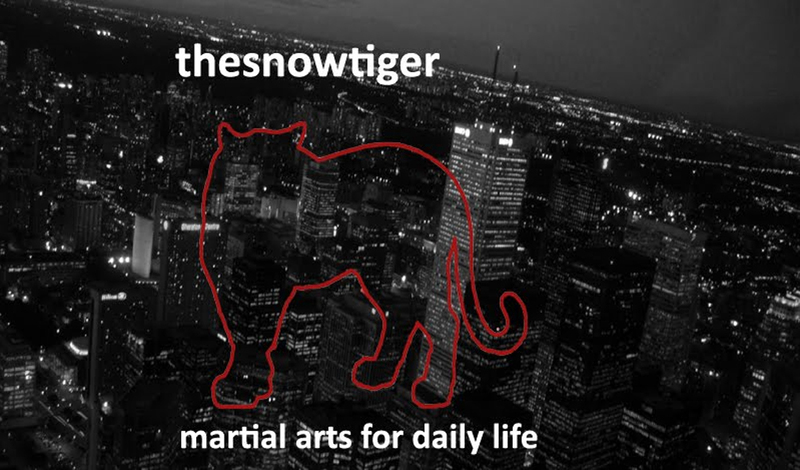 Although I have already mentioned a few techniques in the above, I would like to continue to highlight a few more that I feel can really be made more effective in most peoples’ karate with the correct training. I have already mentioned Shuto and Haito Uchi, so I would like to start with Kagi Zuki. It appears in Heian Godan, of course, and is a common punch throughout Shotokan, however, I feel, completely misunderstood. With Kagi Zuki the fist is coming in a circular course from the hip as the shoulder relaxes and the body shifts its weight around the target. It is a very close quarter technique and the punch should never over-reach to hit the target. However, done correctly it can deliver a devastating amount of heavy kime. I feel compelled at this point to insert a footnote mentioning that I have often seen people do the inverse – that is try to make this hard heavy kime with straight techniques. Punching or (snap) kicking focus pads should not produce any visible effect as the snap should occur several centimetres into the pad. However, people like to see results and end up pushing into the pad so the partner feels the technique – or at the very least staggers back! This is a waste of a good, snapping technique! straight techniques. Circular, tai-sabaki movements are essential and with the case of Kagi-Zuki one must not move towards, but around and besides the target – think Japanese straight blade, Kenjitsu movements versus the Chinese curved blade, Kung-fu movements. If we compare how often we practise moving in and out of range in a linear fashion to this circular tai-sabaki movement, we can see how Shotokan has favoured straight, competition-type karate. We often see the same straightening of waza in Mawashi Uke and Mawashi Uchi which are (albeit in slightly different ways) at the end of the kata Nijushiho-sho and Unsu. It has been one of my pet hates for years, seeing people perform these flowing blocks and strikes in a stiff straight way. For example at the end of Nijushiho-sho karate-ka will block with their right hand, bringing it down to their right hip, whilst the left hand circles to the left shoulder – so far so good-ish. They will then step forward and perform Mawashi-Uchi in a straight, pushing manner. The same can be seen in Unsu. This shouldn’t be! The whole technique should be a circular, flowing, continuous action whereby the block seamlessly leads to the strike in an unbroken manner. Today, this graceful waza is often executed rigidly with a bit of artificial kime added at the end for good measure. Youtube Nakayama Sensei and you will undoubtedly find footage of him demonstrating Mawashi Zuki. Of course this technique does not appear in any Shotokan kata. However, Age Zuki does and I guess if Mawashi Zuki did exist in kata it would be straightened similar to how Age Zuki has been in Enpi. Nakayama Sensei placed importance in Mawashi Zuki, I think we should too! I once had a conversation with Asai Sensei about the aim of Karate and Budo. He talked about how learning Karate helps you do the things that everyone else does, but better. The classic bar-brawl swing punch was mentioned. People throw them because they are effective at producing power… By doing karate, we should be able to highlight and refine that power; not dismiss it at useless! Mikazuki Geri and Ura Mikazuki Geri are also in need of a technical “check-up”. Most people perform Mikazuki Geri in kata like Heian Godan with the main objective of slapping their underneath of their right foot to their outstretched left hand. Realistically, this has no meaning. 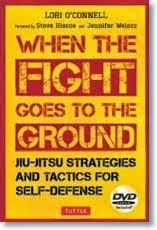 I can understand its purpose, but we must also understand the usefulness of this effective kick. Try bringing your leg out to the side and using your inner thigh muscles to drive the leg across to target (of course keeping your knee slightly bent on impact to protect the knee). There is no need to snap back, just allow all the power to go into the target and if you use the knuckle of your ankle as the impact point, this kick is fast and powerful. The same is true with Ura Mikazuki Geri. Although not present in any Shotokan kata, it is there in others (Rantai, for example) and is used extensively in Kyokushin Karate. With practise it can be used to great effect at close quarter sparring and is extremely powerful. The final technique I would like to look at is Mawashi Geri. In Shotokan, over the years, we have opted for the snapping, fast style of Mawashi Geri, which uses the ball of the foot as its impact point. However, if we look at how Kyokushin Karate do Mawashi Geri it is very different. Using their shin, they swing their legs like powerful clubs, heavily impacting their opponents. I believe there is a place for such techniques within Shotokan. It is different, the distance and timing change, but this type of kick is undeniably effective. One thing to note with all the techniques mentioned above is that with rounded techniques (as mentioned before) you are not driving your weight forward in a straight line. This, of course, makes their range shorter (medium to short range distance). It also means that the need to maintain Seichusen (correct centre line) is less important. When performing Haito Uchi, Mawashi Geri or even Kai Zuki, going off line dramatically helps the technique produce power. Even leaning in, dropping weight down further increases the effectiveness of the waza. This, of course, often feels completely alien to Shotokan Karate-ka, were the Seichusen is sacred! So far I have predominantly been talking about circular attacks; however, circular blocks are also a vital part of Shotokan Karate. If we take the Kata Chinte as an example, there are a huge variety of waza that simply don’t fit into these linear, kime-inducing movements. 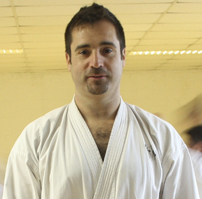 Near the start of the kata, just after the first kiai, there is a sequence which starts with Ude Bari, Tetsui Uchi and continues through to double Uchi Uke. I have seen this whole set being done stiffly, making kime at each “finish point” and I can’t help think that something has been lost when the kata is performed that way. Instead, try swinging your right fist (and arm) from shoulder height, arcing down to block with the inner forearm. Then, without making “kime” allow the movement to continue round and you stand up and perform Tetsui Uchi in a similar encircling way. This type of movement is difficult, but made more so by the desire to stop dead – to make kime at the perceived end of the block/attack. If you try to artificially add kime, it will stiffen and straighten the movement. However, doing it correctly/circularly may produce a far less aesthetically pleasing performance… It’s the price you have to pay. The following circular blocks are identical to the previous sequence in how they should be approached. Think of the swirling, graceful movements of Aikido. Think of the numerous possible bunkai that could apply to such movements. Think of how these blocks would work when adding tai-sabaki and maybe Chinte will no longer be considered a ladies’ kata! 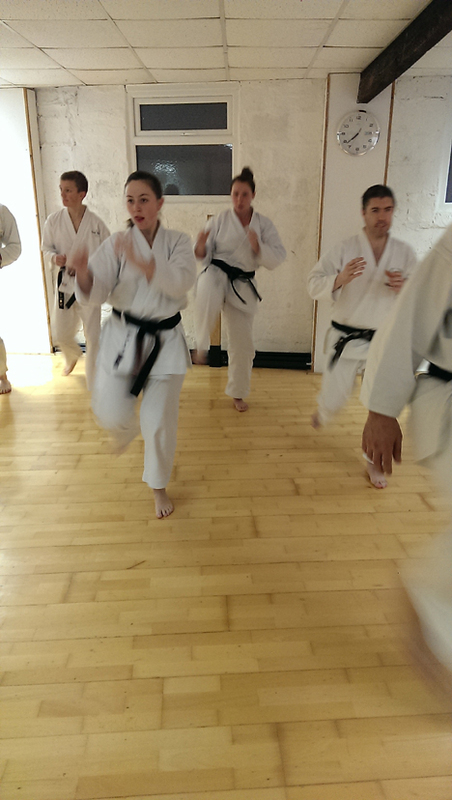 So in conclusion, I feel that this straightening of Shotokan has its merits. It has produced a long to medium range style of fighting and it is safe in so many ways. Techniques can be controlled allowing for semi-contact kumite, but this also gives us the added benefit of understanding snap kime, which can be devastating when used correctly. Also, straight techniques are safer for us. If we kick Mawashi Geri and miss our target, we still have the ability to land in a stable kamae and continue fighting, whereas if we kick Mawashi Geri in this rounded, Kyokushin Karate style and miss, then we may end up landing in a very vulnerable kamae – the same can be said for all such circular techniques. That said I do believe that these circular techniques are often under-practised and misunderstood within Shotokan. The fourth move of Heian Shodan is circular in nature – so right from the start Shotokan is trying to be complete. Kata is littered with techniques that only work when performed in a circular fashion, whose effectiveness is reduced when performed straight, with external, snapping kime. When I lived in Japan, on my way home from the train station I would pass a full time Kyokushin Karate dojo. Almost every time I passed there would be karate-ka doing partner work in two variety of ways. Either they would be with their partner slowly doing Jiyu Kumite, using Mawashi Zuki, Mawashi Geri, Ura Mikazuki Geri etc in a slow, relaxed manner. They would slowly continue and if any technique hit its target, it was slow enough to not cause damage. Or, they had the focus pads out and whilst one partner held it, the other would punch, kick and strike the pad with devastating effect. I believe Shotokan is the most comprehensive style of karate out there. But this is only true if we practise all aspects of our style. Of course, individuals will favour one aspect over the other. However, if one aspect is completely abandoned, for whatever reason, then Shotokan can only suffer as a result. 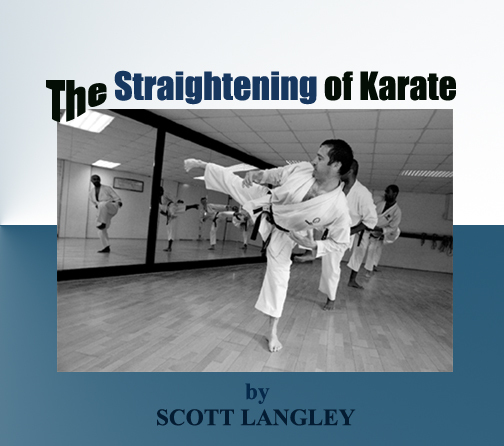 Another great article from a deeply experienced and thoughtful Karate-ka! Thank you, Scott! Please do get in touch with him using the links below or go to our Books and DVDs page to access his book. Imagine hosting one of his seminars at your home Dojo. What a great experience that would be!